For more than six decades, Market Rasen has had a special visit from Father Christmas on Christmas Eve and a magnificent tree in its market place thanks to the work of the Market Rasen Children’s Christmas Tree Fund committee. The tradition continues, with the tree due to arrive very soon. Over the years, the fund has sourced trees from the Forestry Commission and other commercial growers, with the support of committee members, who raise funds through donations and raffles, as well as putting up the tree and helping Santa on Christmas Eve. 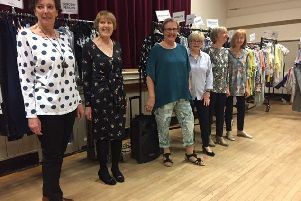 “The businesses and people of Market Rasen have always responded positively to the fund raising and must be congratulated for their contribution to the success of this exciting event,” said committee spokesman, the Rev Cropper. “We therefore appeal to residents to look out for the raffle tickets in and around the town and to invest in the opportunity to win a cash prize or Christmas treat.